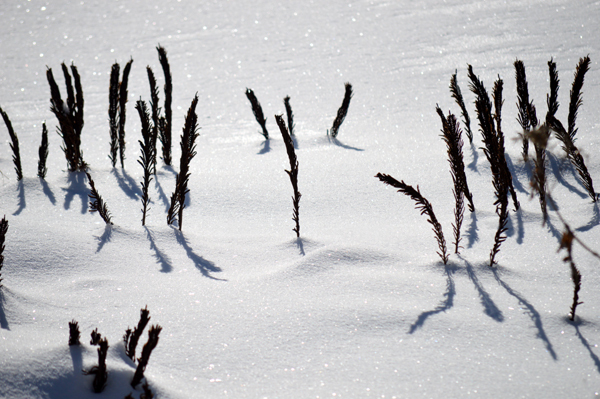 A few weeks ago I went for a walk at a rather snowy Civic Gardens and this large patch of dried fern fronds caught my eye. I look forward to visiting again once the ferns are big and green. It reminds me of plants on the sand dunes here. Totally! When the snow is fine and gets blown like that it always reminds me of dunes, too.